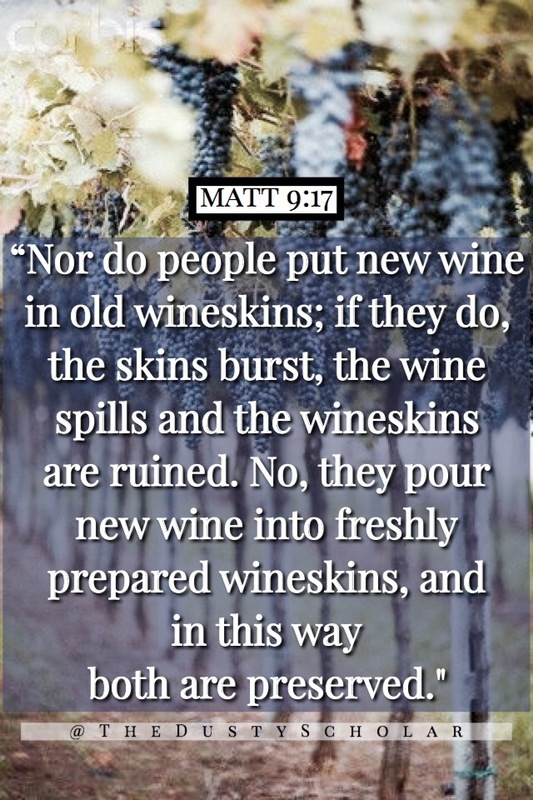 We have read the passages in the gospels in which Yeshua reminds us that new wine must be put into new wine skins, but what does that involve ? Firstly, before a new wine skin can ever be made something must die. Next all flesh must be removed. Then the wine skin must be put over the fire. And finally the oil must be applied. Perhaps when we TALK about becoming new it seems less painful to meditate on the scriptures which bring to our remembrance beautiful butterflies. But when we WALK through the process of becoming something new it is many times the verses that speak of the pain we are experiencing that encourage us to hang on and not give up. To remind ourselves that Yeshua KNEW that change is not easy, and supplied us with the strength and faith to get us through the process bc the change is absolutely necessary. There is no getting around what is required if you want to be a fit vessel for the things He desires to pour into your life. And in the end it is worth the pain.